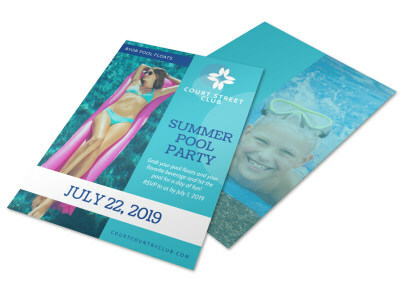 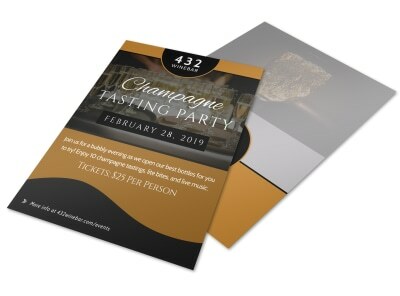 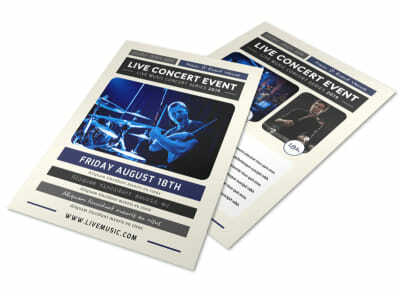 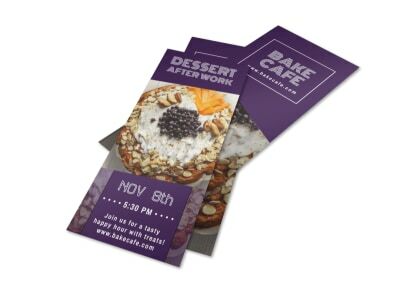 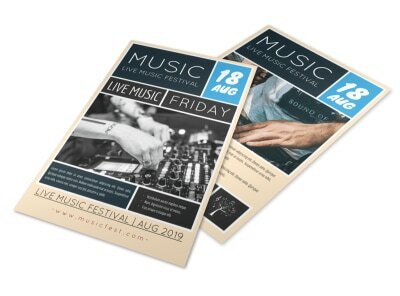 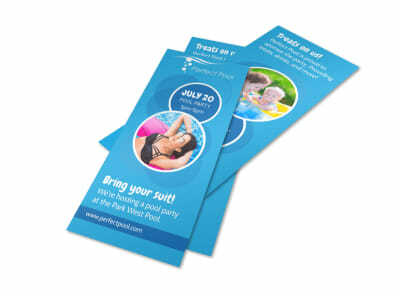 Promote upcoming events with flyers that provide the information potential attendees need to get excited about what you’re offering. 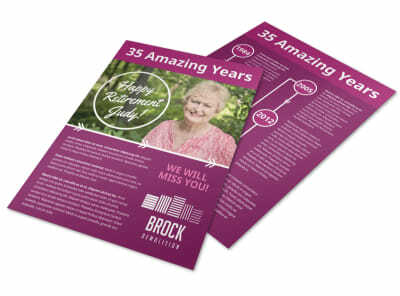 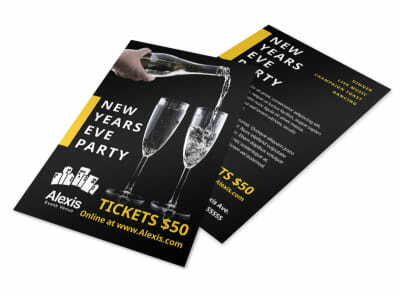 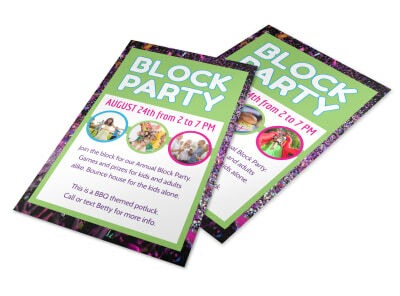 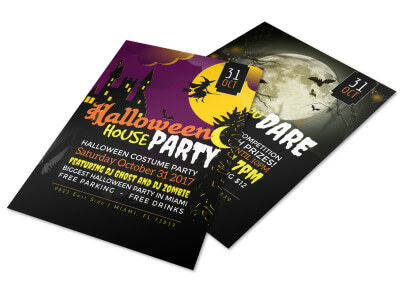 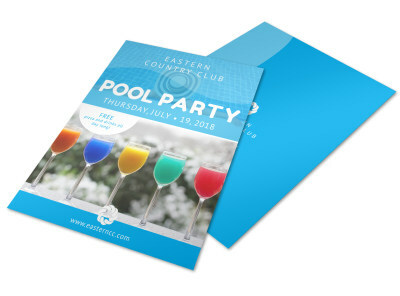 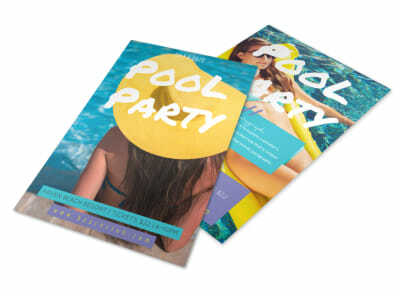 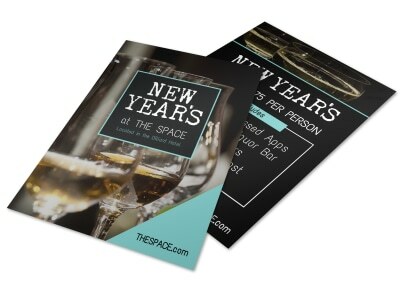 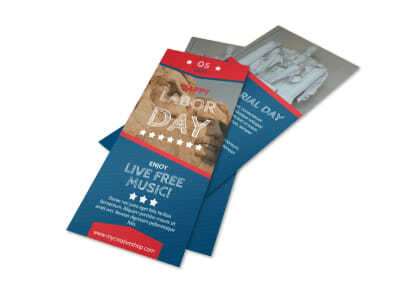 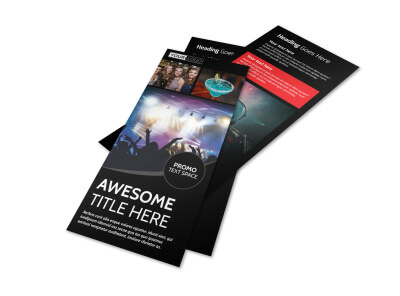 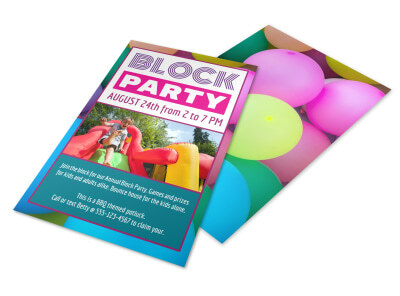 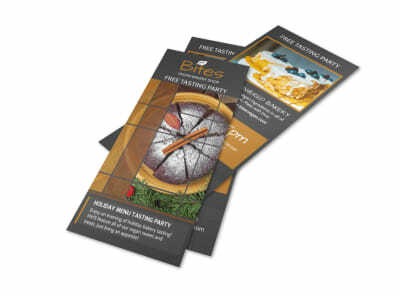 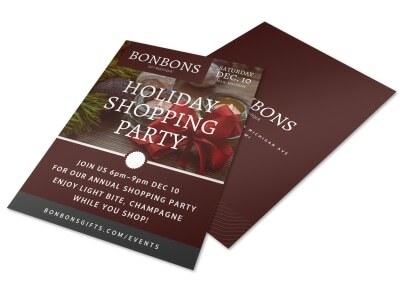 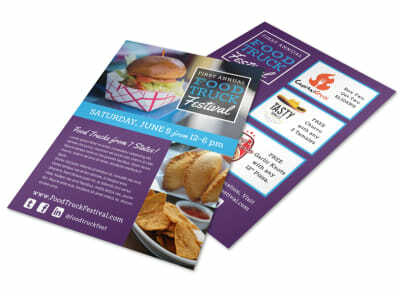 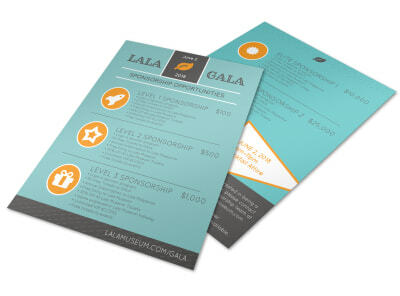 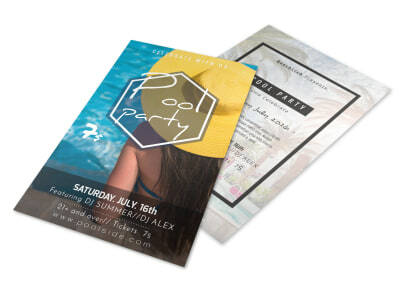 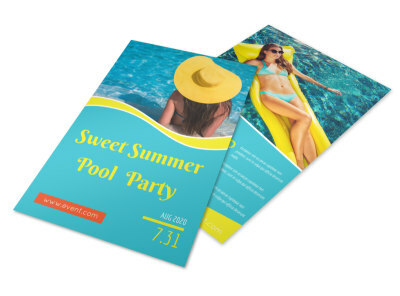 Our event flyer templates are completely customizable using our online editor. 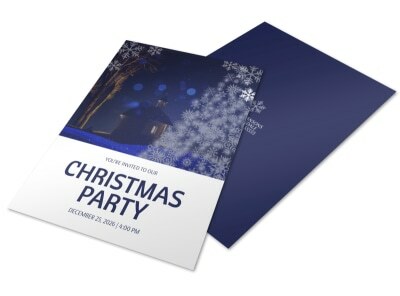 Simply upload photos you want to use, add your own text, graphics, and other components to make the design as unique as the event you’re promoting. 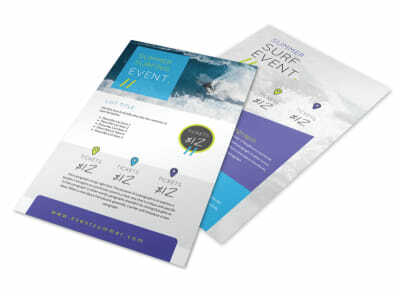 Select the colors, fonts, and other elements you like most, and bring them all together with an easy-to-use interface that puts you in control of your design. 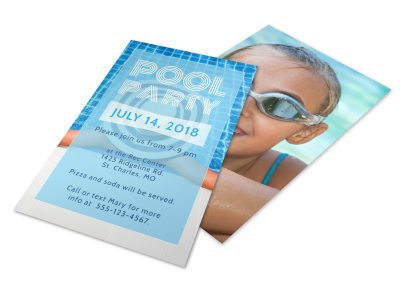 Leave the printing up to our experts, or choose on-demand printing for immediate access to your materials. 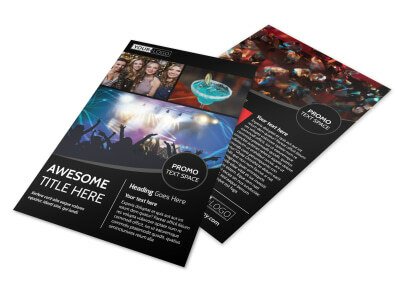 Ensure that your sphere of influence is clued in to your upcoming conference by creating and distributing an attractive and inspiring flyer that reflects the heart of your event. 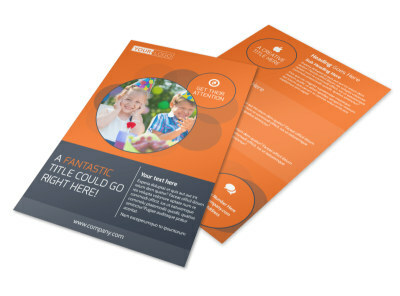 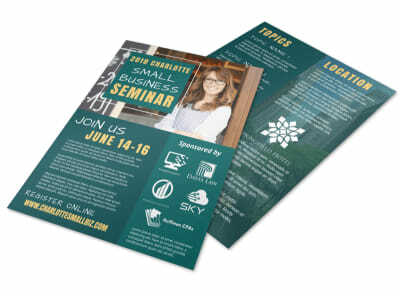 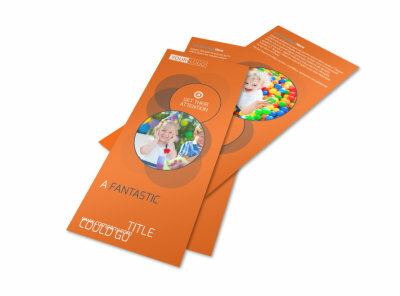 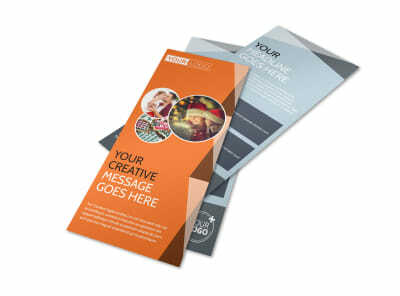 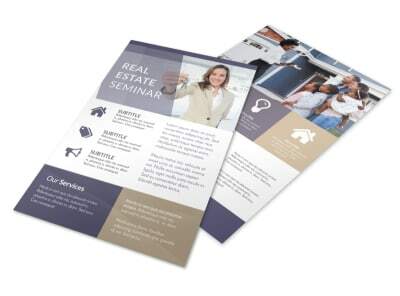 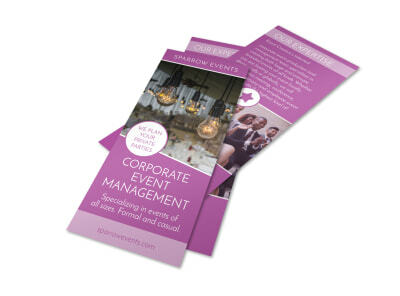 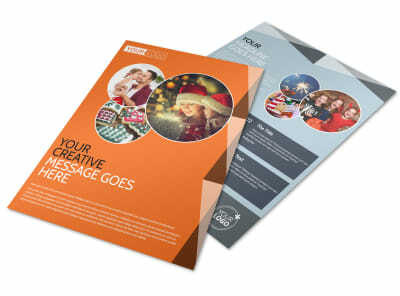 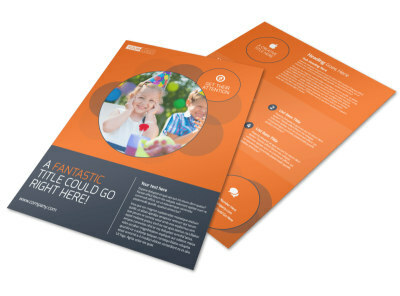 MyCreativeShop is here to help with an array of professionally-crafted conference flyers to fit your vision. 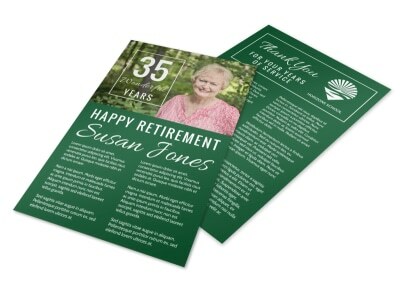 With our online editor, you can customize any template to meet your needs – layout, color scheme, fonts, graphics, text – the list is almost endless. 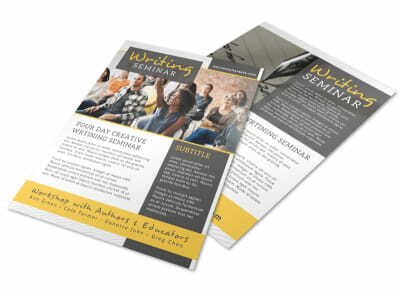 Promote your church’s Men’s Discipleship conference with a nonchalant, low-key, “just the facts” flyer, up ticket sales for your next Women’s conference by creating a colorful, lively, more detailed final product, or get the high school crowd excited about your next Youth event with an “in your face” flyer that refuses to be ignored. 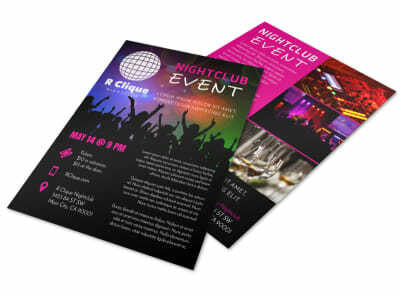 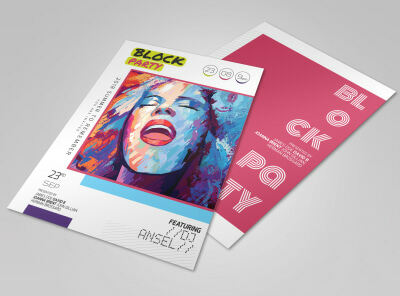 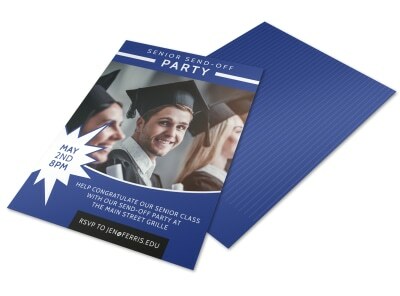 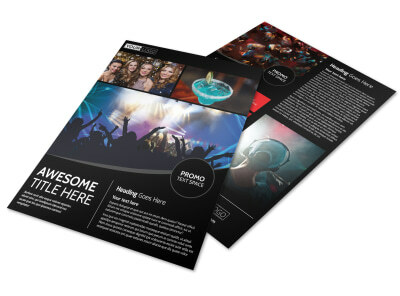 Hit print or let us take care of that for you, then get ready for attendance to skyrocket! 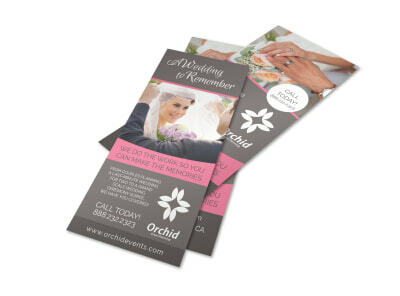 Every little girl fantasizes about her dream wedding. 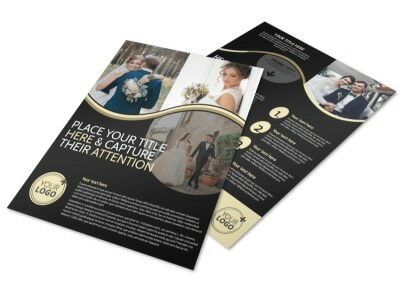 Let that grown-up bride and her groom know you’re the wedding planner who can turn fantasy into reality by designing a beautiful and compelling wedding planner flyer that hits all the right notes. 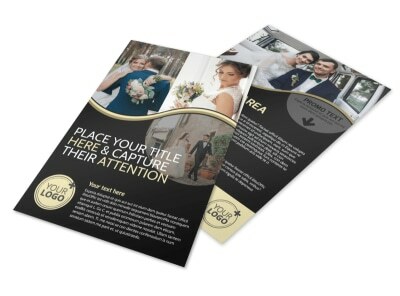 Feature professional photos of the weddings you’ve done that best represent you and your abilities. 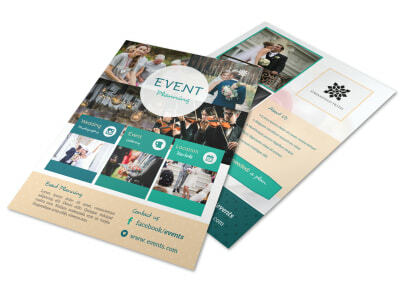 Glowing client testimonials and a from-the-heart description of why you LOVE to plan weddings will tip the scales in your favor. 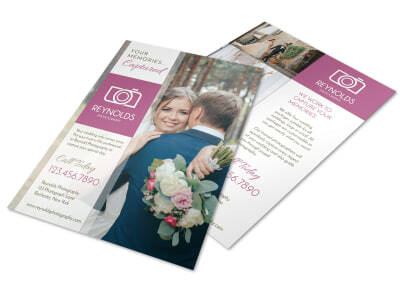 Highlight your contact information, and include a free consultation offer or discount when brides (or grooms!) mention or bring in your flyer. 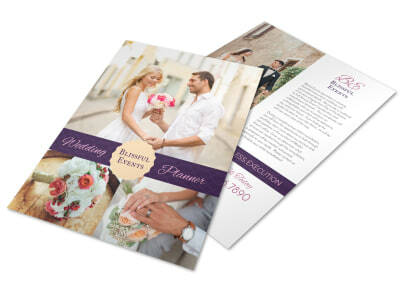 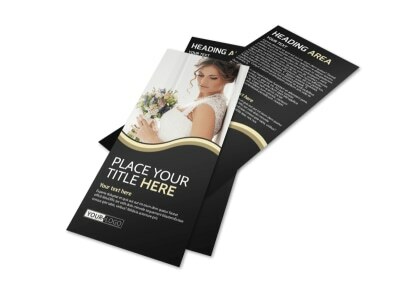 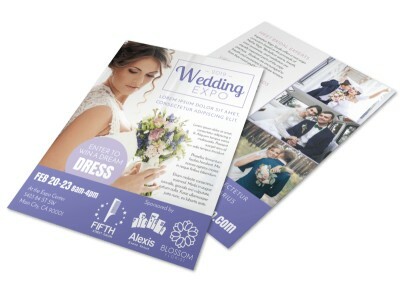 Add our online editor to your bag of design tools – customize and print your flyer today, before the bride runs away!